A must-read at the MuSuNaHi book club is “Who Built The Moon,” a heartbreaking work of staggering astrophysical genius - if ever there was one. The book pokes holes - or at least digs some craters - into many of the accepted theories about what the moon is, where it came from, what it’s made of, and its importance to life on Earth. 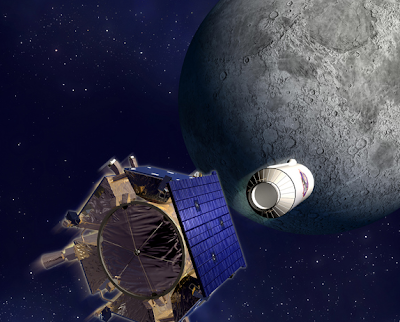 So we’re excited to hear that NASA is going to follow suit, and ram a Lunar Crater Observation and Sensing Satellite (LCROSS) into one of the permanently shadowed crater of the moon’s North Pole. The hope is to detect the presence of ice; water on the moon would potentially support the infrastructure necessary for creating a launching site on the lunar surface for manned exploration of Mars.